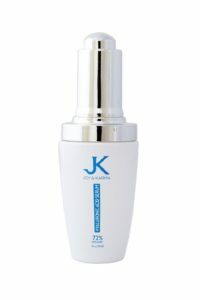 What does the JK Hyaluronic Acid Serum do? This serum plumps-up the skin, reduces puffiness around the eyes, minimizes fine lines and wrinkles and re-hydrates the skin. It is chock full of potent antioxidants which fight the signs of aging caused by free radicals. 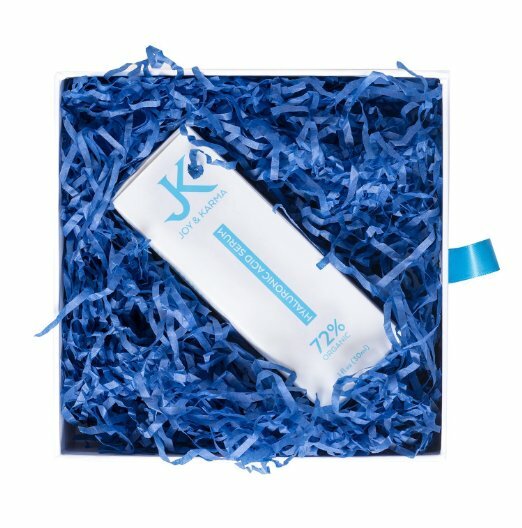 The majority of customer reviews gave the JK Hyaluronic Acid a 4 or 5 star rating. Plumps, softens and defines your skin. Ideal for reducing sun spots and age spots. Chocked full of powerful antioxidants and peptides. Does not contain nasty ingredients like parabens, petrochemicals, phthaltes and sulfates. Made in an FDA approved facility right here in the USA. Who should use this Serum? 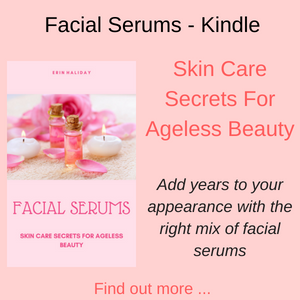 This serum is suitable for people who want to reduce the signs of aging, such as fine lines and wrinkles, age spots and that dry, coarser feel and duller complexion that so often accompanies the aging process. 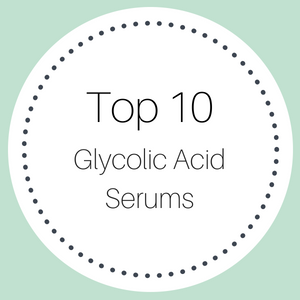 How do you use this Hyaluronic Acid Serum? It is recommended that you start slowly with this product, just in case your skin is sensitive to any of the ingredients. After a week, slowly increase the amount of serum you need to use and use just enough to apply a thin layer over your face and neck. You can use this serum twice a day, morning and night for best results. 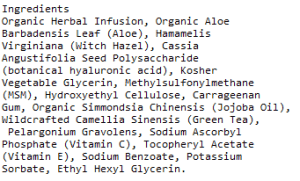 JK also recommend that you exfoliate before you use this serum, but that seems a bit rash if you use this serum twice a day. Once the serum is dry, follow up with an organic moisturizer and the serum helps the moisturizer to penetrate your skin. This hyaluronic serum does not contain parabens, sulphates, petrochemicals, silicones, phthalates, artificial fragrances or colors. It is 98% natural and 72% organic. This product is made in the USA in a FDA certified facility. Hyaluronic acid is a super hydrator and is thought by many in the beauty industry to be a fountain of youth. 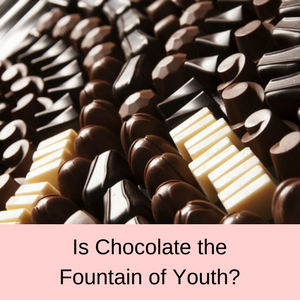 The reason is because it can absorb more than 1000 times its own weight in water and so helps to rapidly restore the moisture in our skin, which we lose as we age. Our bodies naturally produce hyaluronic acid, but over time, the amount we produce reduces and our skin becomes drier and less youthful looking. Babies and young children have a high level of hyaluronic acid, which is one reason why a baby’s skin feels so soft. Skin care products with hyaluronic acid help to restore the skins elasticity, suppleness and smoothness and make your skin look more radiant. 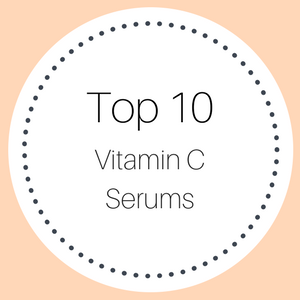 Vitamin C is a super antioxidant that helps to reverse the signs of damage on our skin, caused by free radicals. It is also essential in wound healing and in the production of collagen. The combination of hyaluronic acid with vitamin C really helps to boost the softness and suppleness of your skin, along with a fresher and more youthful looking appearance. 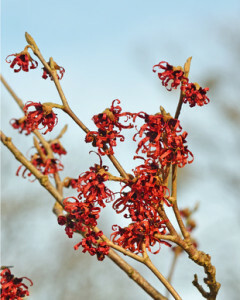 Witch hazel is an old remedy used to reduce inflammation in the skin, so it is good to reduce puffiness around the eyes. It is also effective in healing acne, due to its astringent properties and helps to prevent your skin from becoming dry. 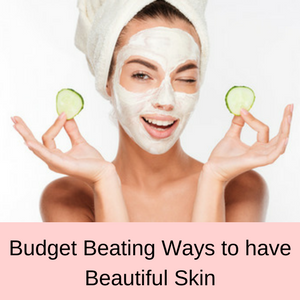 It is also suggested that it helps increase the skin’s elasticity, reduce discolorations and minimize fine lines and wrinkles. The main benefit of green tea is that it is a powerful antioxidant and helps to reverse the signs of aging, caused by free radicals. Aloe Vera has been long known as a great product for healing wounds and burns. 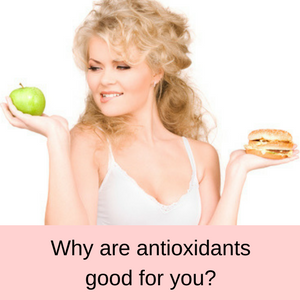 It is full of antioxidants – vitamin A, C and E, as well as vitamin B and has lots of minerals, such as calcium, magnesium, zinc and selenium. 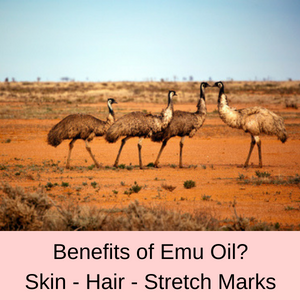 It is also a great moisturizer and helps to reduce inflammation and reduce pain. MSM is an organic sulphur containing compound which promotes the growth of collagen, elastin and keratin in the skin. It penetrates the skin deeply and has a moisturizing, softening and plumping-up effect on the skin. MSM also has an anti-inflammatory effect on the skin and aids in conditions such as eczema, psoriasis and acne. Finally, MSM facilitates the absorption of other ingredients into the skin, helping to increase hydration and boost the effects of antioxidants. 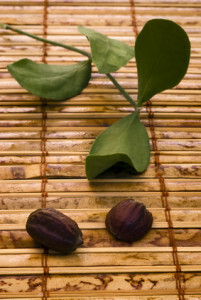 Jojoba Oil is a waxy ester that is packed full of antioxidants, vitamins A, D and E and Omega 6 and 9. The problem is that as we age, the production of waxy esters in our skin declines and these esters are responsible for moisturizing our skin and keeping it supple. Sebum contains a high percentage of these esters and as they are not renewed over time, our skin starts to become dry – one of the signs of aging. As a waxy ester, Jojoba oil penetrates our skin deeply, because it is very similar to the natural waxy esters in our skin. So Jojoba oil helps to not only moisturize our skin but to keep the moisture locked in. As a result, your skin looks more youthful and supple. PROS: With the vast majority of customer reviews on Amazon giving this hyaluronic serum a 4 or 5 star rating, just about everyone is happy with this serum. 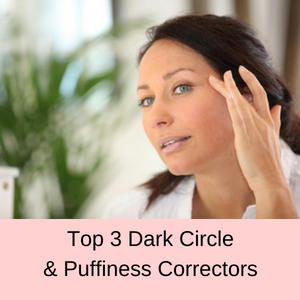 Many people noticed a reduction in their fine lines and wrinkles and that their skin was much softer and healthier looking, and that their skin was much more radiant and brighter. The serum is not sticky, doesn’t smell and helps to minimize acne scars. A very good all round anti-aging serum. CONS: The few people gave this serum a single star and those that did said that they found no improvement in their skin after using this product. 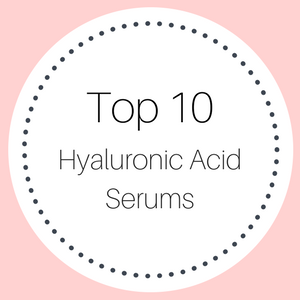 This is the best Hyaluronic Acid Serum I’ve used! It greatly diminishes my fine lines and my skin is super smooth! This serum is amazing, this time I ordered two bottles so that I wouldn’t run out! 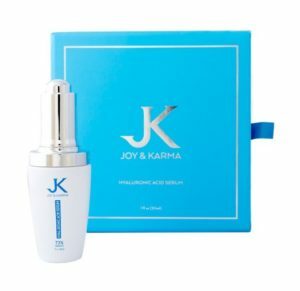 I have been using the Joy and Karma Vitamin C serum along with the Hyaluronic Acid serum and my skin feels fabulous…. I don’t see that turkey neck anymore and that is a big plus. Definitely can tell a difference in my skin after using this. It’s plumper and so soft. I use this every morning and my skin looks great! I can go without make up and I’m close to 50. AWESOME serum! I’ve been using this in conjunction with each the Vitamin C serum for about 2 weeks. 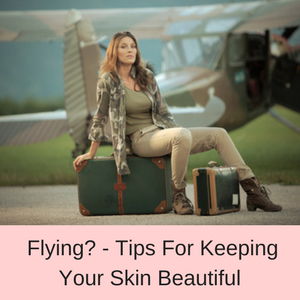 I have definitely noticed a softness to my skin and my face is much smoother. 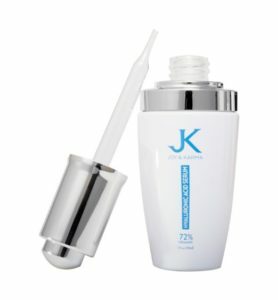 Does JK Hyaluronic Acid Serum work? Yes. The customer reviews leave no doubt in my mind that this is a great serum. Customer opinions clearly indicate that this serum does exactly what it advertises. 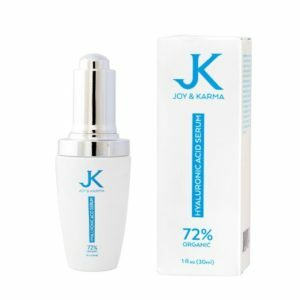 So with the JK Hyaluronic Acid Serum you can look forward to a much more moisturized skin, fewer fine lines and wrinkles around your eyes and a much more radiant and youthful glow to your appearance. So if you are ready to rejuvenate your skin, take a look at the JK Hyaluronic Acid Serum and look forward to a softer and fresher complexion. Jk offer a 365 day money back guarantee and you don’t have to ship the products back to them. Jk also donate 10% of all net profits every year to those in need. They also sell a Vitamin C Serum, which they recommend you use in conjunction with the Hyaluronic Acid Serum. Australian shipping: This product does not ship directly to Australia – check out my shipping guide for other easy and inexpensive shipping options to Australia.